As the soybean industry faces ongoing threats, including international tariffs, options to increase profitability have been fiercely pursued. This includes making strategic investments in infrastructure to allow production to be more cost-effective and to reliably access international customers. U.S. soybean farmers rely on a multi-modal transportation system comprised of rural roads and bridges, highways and interstates, freight railroads, inland waterways, and ports, according to the Soy Transportation Coalition (STC). Each of these links in the supply chain is essential for farmers to be profitable. A recent STC analysis performed by Informa Economics IEG found that one infrastructure enhancement offered the greatest potential to significantly benefit the competitiveness of the U.S. soybean industry and individual farmer profitability. The 256-mile stretch of the Mississippi River from Baton Rouge, La., to the Gulf of Mexico accounts for 60 percent of U.S. soybean exports, along with 59 percent of corn exports–easily the top export region for both commodities. 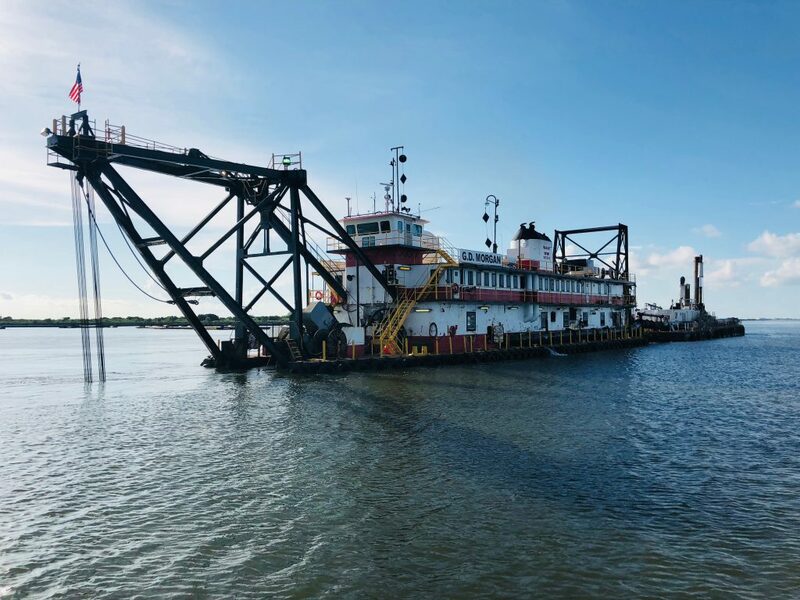 Mississippi River stakeholders, led by the Big River Coalition (BRC), are promoting an initiative to dredge the Mississippi River Ship Channel (MRSC) from its current 45-foot depth to 50 feet. The MRSC services four of the top 13 ports in the United States: The Port of Greater Baton Rouge (Port of Baton Rouge); the Port of South Louisiana; the Port of New Orleans; and the Plaquemines Port, Harbor and Terminal District (Port of Plaquemines). The Port of South Louisiana is the largest port in the nation in terms of tonnage. The dredging project also would provide access to the Port of St. Bernard. The BRC was created in Fiscal Year 2011 in response to the announcement by the Commander of the United States Army Corps of Engineers’ Mississippi Valley Division that it was discontinuing reprogramming funds to maintain the MRSC. The coalition’s role is “Advocating for a Mightier Mississippi River” to promote the future of navigation on the MRSC—the U.S.’s most productive channel. The BRC’s more than 100 maritime members, including the STC, asked the group to advocate for deepening the MRSC to 50 feet to more effectively transport nearly 500 million tons of imported/exported cargo annually. Sean Duffy, Sr., executive director of the BRC, said the U.S. Army Corps of Engineers (USACE) currently spends about $120 million a year to maintain the channel at 45 feet deep and 750 feet wide, which have been the dimensions since 1989. Duffy said the MRSC is dredged every six months and also every time there is a high-water event. On Aug. 3, the USACE Director of Civil Works James Dalton signed the Director’s Report to authorize the General Reevaluation Report (GRR) (economic update) and Supplement to the Final Environmental Impact Statement (SEIS) as required to justify the deepening of the MRSC to 50 Feet. In the report, Dalton recommended deepening the MRSC and said it was, “economically justified and environmentally sustainable,” and he approved budgeting for the project based on the final GRR and SEIS. The Director’s Report said the underlying National Economic Development Plan called for deep draft navigation to a depth of 50 feet from the Gulf of Mexico at River Mile 22 Below Head of Passes through the Port of Baton Rouge ending at River Mile 232.4 Above Head of Passes. The plan also said this dredging of the river is beneficial to the United States in transportation cost savings and by allowing more efficient use of vessels. It goes on to say that material dredged from River Mile 13.4 Above Head of Passes to River Mile 19.5 Below Head of Passes will create more than 1,450 acres of marsh habitat, which will be beneficial to the local ecosystem. The USACE estimated the cost to deepen the MRSC at $157.5 million, with a cost sharing of about $118 million of federal funding and $39.4 million non-federal dollars that Louisiana would be responsible for. Duffy added that it would continue to cost $120 million to maintain the river annually. The STC research highlighted that, if the MRSC is dredged to 50 feet, shipping costs for soybeans from Mississippi Gulf export terminals would decline 13 cents per bushel ($5 per metric ton). This is because a deeper river allows not only for use of larger ships, but also loading existing ships with more revenue-producing freight. This research also analyzed what the dredging would do to interior basis (difference between the local price the farmer receives and the market value established by the Chicago Board of Trade) for soybeans in 31 states. The STC noted that farmers located closer to inland waterways and barge transportation enjoy a more positive (or less negative) basis versus soybeans grown further away. “As a rule, the less-costly and more efficient the supply chain is subsequent to farmers delivering their soybeans, the higher value a farmer will receive for the bushels of soybeans produced,” a STC news release stated. For its research report, the STC tasked Informa Economics IEG with creating basis maps for soybean-producing states located adjacent to navigable inland waterways to highlight the current market versus how basis could improve for soybean farmers if the MRSC is dredged to 50 feet. What researchers found was that areas with more pronounced negative basis would be replaced with those with more favorable basis territory. The STC report estimated this would result in Illinois soybean farmers adding $77 million in annual funds for their soybean crops. Researchers added that this would be replicated in other soybean-producing states along the inland waterway system. Outside of Illinois, the STC research estimated farmers in the 31 evaluated states would receive an additional $461 million annually for their soybeans due to dredging the MRSC to 50 feet. Additionally, these further-removed soybean-growing states would benefit similarly to their waterway-adjacent counterparts from increased modal competition between rail and barge, the STC reported. Steenhoek said the STC is excited about the dredging project and how soybean growers, including in the interior of the country, will benefit. “Researchers projected how farmers will benefit from receiving a higher percentage of the market value for their soybeans as the supply chain becomes more efficient [from the dredging],” he said. In 2011, the BRC identified three steps required to deepen the MRSC to 50 feet, matching the control depth of the new locks on the Panama Canal. The first step was to increase the federal threshold for full-channel maintenance from 45 feet to 50 feet, which was completed through the Water Resources Reform and Development Act (WRDA) of 2014. The second step was to finish the General Reevaluation Report to update the economic impact of the deepening of the MRSC to 50 feet, which occurred on Aug. 3 when the USACE Director’s Report was released. Of the three steps, only one remains to be completed, which is to secure federal and state funding for the deepening project. Duffy of the BRC said he thinks the project is a year or two away from securing the required funding. Steenhoek said there seems to be broad agreement that after the 2018 midterm elections on Nov. 6 there will be a renewed effort in Congress to address improving the U.S. infrastructure, with the goal of having this deepening project on the priority short list. How do you dredge a river? 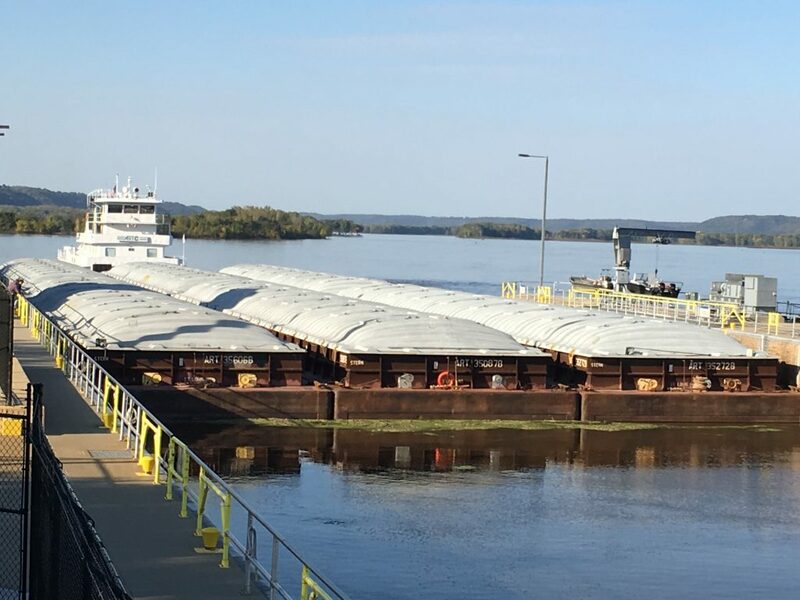 According to the United States Army Corps of Engineers (USACE), enlarging and deepening navigation channels, as proposed with the Mississippi River Ship Channel (MRSC), involves removing materials from the bottom of the river that were previously undisturbed. 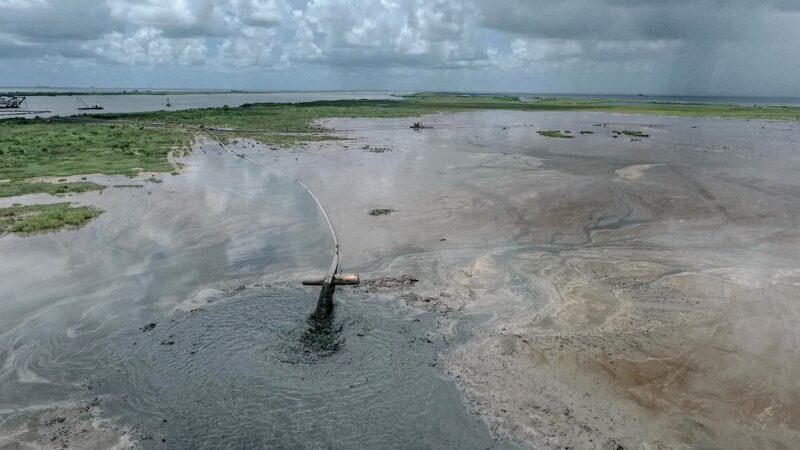 In contrast, maintenance dredging operations involve the repetitive removal of naturally-recurring, deposited bottom sediment such as sand, silt and clays in an existing navigation channel. This process will continue to be required annually if the MRSC is deepened to 50 feet. 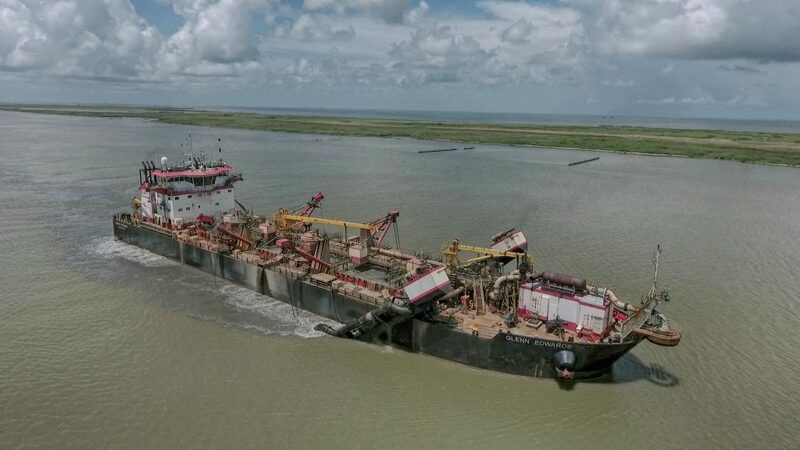 More than 400 ports and 25,000 miles of navigation channels are dredged throughout the United States to keep traffic operating efficiently, according to the USACE. A dredge is a machine that scoops or suctions sediment from the bottom of waterways or is used to mine materials underwater. Modern dredges are guided by computer navigation, but the basic excavation methods used are the same as those practiced in the late 1880s. Two of the main types of dredges are hydraulic and mechanical. Hydraulic dredges work by sucking a mixture of dredged material and water from the channel bottom. Mechanical dredges remove material by scooping it from the bottom of a waterway and then placing it onto a waiting barge or into a disposal area. Dipper dredges and clamshell dredges, named for the scooping buckets they employ, are the two most common types.